Statement necklaces have been all the rage lately and there are more and more styles and ways to wear them than ever. 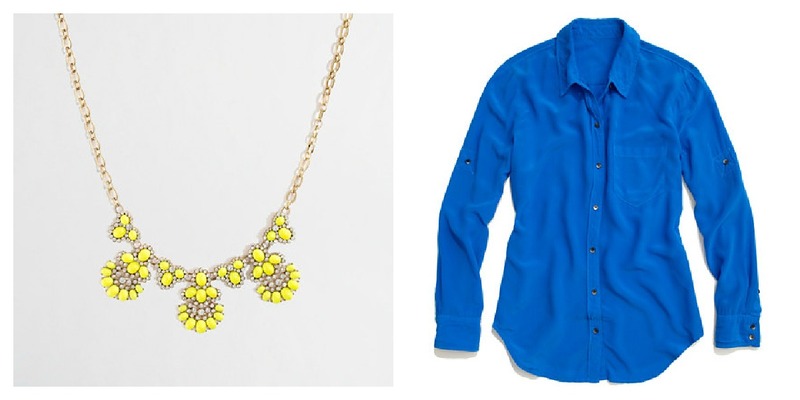 A simple top can be totally revamped and color blocked with the addition of a statement necklace. 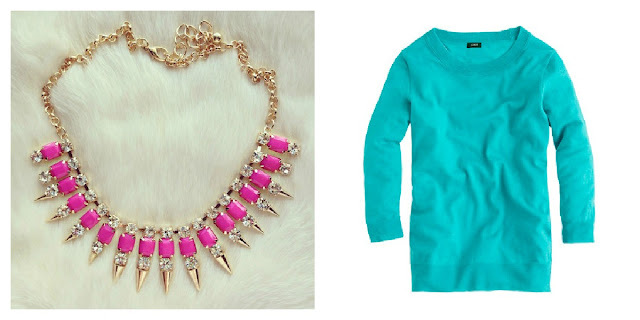 You can even layer statement necklaces with layered shirts and sweaters for more contrast. 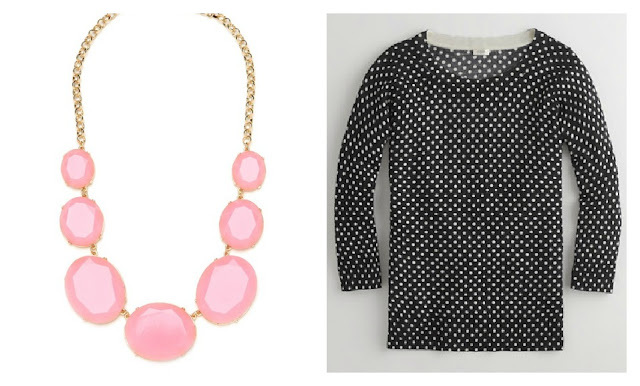 How do you wear your favorite statement necklace? thanks lady!! i just ordered a similar necklace to the first one and i love it! Love that Bauble Bar necklace!!! So bummed I missed that sale. Love all your pics. Love this post. I also work for BaubleBar. That pink necklace would look gorgeous with the navy + white top - so fun!! I love them too! I have that last one you have pictured, but I def need to look into the factory one...it's so cute!! You have an excellent fashion taste!! Love all of these! The perfect color combos! 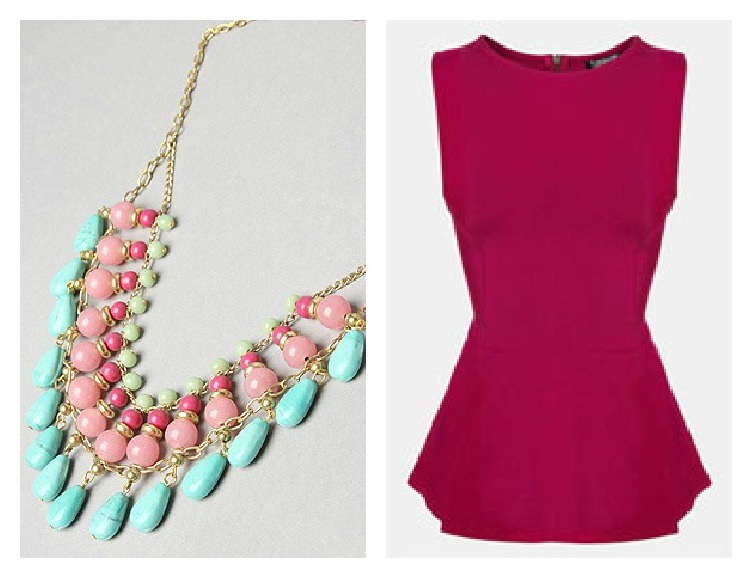 Love that pink pree brûlée necklace!